Students look at the pictures and learn about British and American English. 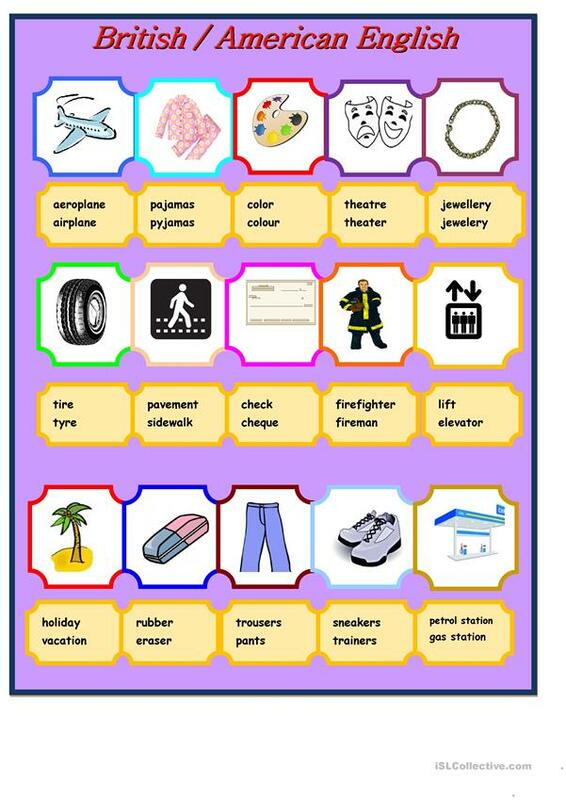 You can ask your students to underline the words using different colors or circle UK words or write UK /US next to the words. This downloadable handout is recommended for high school students and adults at Intermediate (B1) and Upper-intermediate (B2) level. It is a valuable material for strengthening your groups' Reading skills. 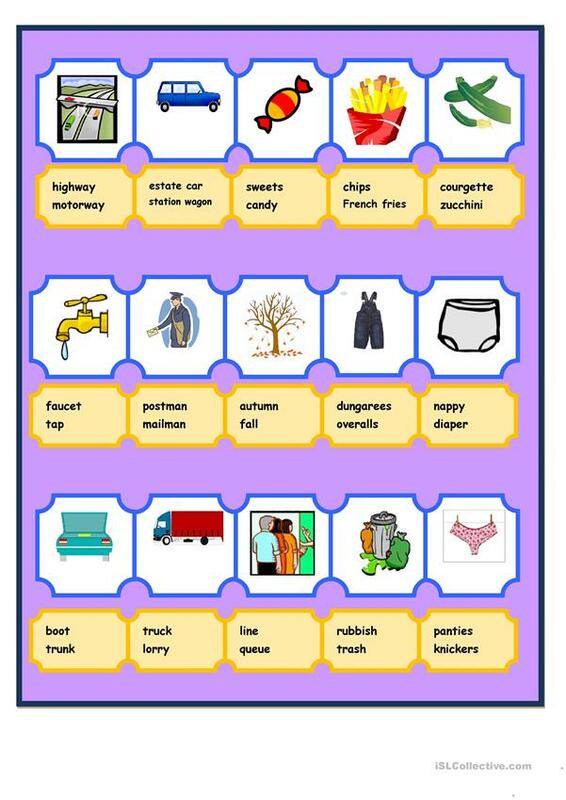 It features the vocabulary topic of American/British English.